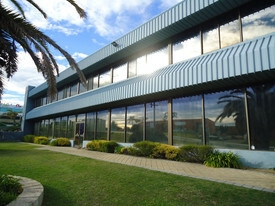 56 Commercial Real Estate & Properties in Balcatta are listed in 5 categories. We have 28 OfficesSale & Lease , 15 ShowroomsSale & Lease , 14 Industrial Warehouses Sale & Lease , 1 Development LandsSale & Lease and 1 Retail ShopsSale & Lease . Located on Balcatta's busiest street, this elevated 370sqm showroom offers great visibility and access to Erindale Road. Rent is $44,400pa + Outgoings $16, 704pa (approx) + GST Features include; Evaporative air conditioning. Real roller door. Parking front and rear. 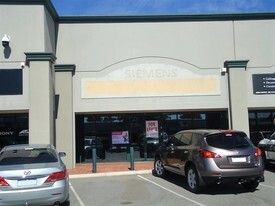 Situated in the heart of the Balcatta Commercial/Industrial area, this location has excellent access to Perth's major road networks including Erindale Road, Reid Highway and Mitchell Freeway. This 135sqm ground floor partitioned office space is available to lease at $40,000pa plus outgoings of $13,049pa (approx) plus GST. Further features include air conditioning, floor coverings and window treatments with central shared facilities. Carpark is easily accessable with visitors bays and 5 allocated parking bays. Natural Light | Transport Close By | Central Location $456pw | 6 Person Workspa..
PROPERTY OVERVIEW $456pw Price incl. Cost effective shared office space for small businesses in Balcatta. This office is well suited to any business too small for an office lease and too big to work at home. It has partitioned workstations, flexible hours of access and a fully equipped boardroom as well as a professional reception and foyer. Internet, mailing address and mail collection is included for even better value. The proactive and positive environment encourages interaction and networking with small business info events where you can invite clients and solicit new business. Flexible terms available now. 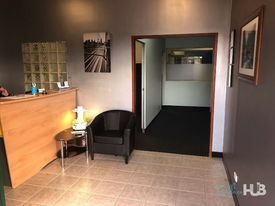 This office is situated in a modern and well presented commercial/business precinct in Balcatta, 11km north of Perth CBD. The contemporary building offers car parking, air conditioning and company branding at reception with a pet friendly policy. This great metro location will serve small businesses well with ease of highway access, plenty of parking and fantastic amenities at the nearby Stirling Central Shopping Centre. The advertised office space is perfect for a team of 6. If you need more or less space, we have over 30,000 furnished workspaces all over the world suitable for a team of 1 to 200+. Our award winning team offer a free service that will help you find the perfect solution for your needs, so reach out if you need more help. What you get for your weekly rent , 24/7 Access , Access to internal breakout areas , Access to kitchen facilities , Building outgoings included , Electricity usage included , Flexible terms , Regular cleaning , Premium Coffee/Tea Facilities , High speed Internet Building features , Air conditioning , Car parking in building and surrounding areas , Dedicated men and ladies bathrooms , Natural light , Photocopying facilities , Direct access to public transport , Company Branding at reception , Pet friendly office space Easy access Freeway Reid Highway and Wanneroo Road Stirling Gate shopping centre 100m down the road Restaurants such Balcatta Coffee Kitchen, Gold Garden BBQ 2 minute walk Who is Office Hub? Office Hub is the world\'s No.1 marketplace for office space. We have a huge global selection of coworking spaces, serviced offices and shared office spaces with flexible options to suit teams from 1 200 people. We\'ll take you on a tour of all the workspaces that fit your needs and work on your behalf to get the best price possible. We\'ll help you discover how shared office space can be the most beneficial and budget friendly solution for your business. www.office hub.com Conditions apply – the advertised price includes any incentives offered based on a 12 month agreement and is available to new tenants only. Please note that the rental rate may increase for a shorter rental period. A portion of the square meterage factors in access to shared space. Natural Light | Transport Close By | Reception Services $190pw | 2 Person Workspa..
PROPERTY OVERVIEW $190pw Price incl. Cost effective shared office space for small businesses in Balcatta. This office is well suited to any business too small for an office lease and too big to work at home. It has partitioned workstations, flexible hours of access and a fully equipped boardroom as well as a professional reception and foyer. Internet, mailing address and mail collection is included for even better value. The proactive and positive environment encourages interaction and networking with small business info events where you can invite clients and solicit new business. Flexible terms available now. This office is situated in a modern and well presented commercial/business precinct in Balcatta, 11km north of Perth CBD. The contemporary building offers car parking, air conditioning and company branding at reception with a pet friendly policy. This great metro location will serve small businesses well with ease of highway access, plenty of parking and fantastic amenities at the nearby Stirling Central Shopping Centre. The advertised office space is perfect for a team of 2. If you need more or less space, we have over 30,000 furnished workspaces all over the world suitable for a team of 1 to 200+. Our award winning team offer a free service that will help you find the perfect solution for your needs, so reach out if you need more help. What you get for your weekly rent , 24/7 Access , Access to internal breakout areas , Access to kitchen facilities , Building outgoings included , Electricity usage included , Flexible terms , Regular cleaning , Premium Coffee/Tea Facilities , High speed Internet Building features , Air conditioning , Car parking in building and surrounding areas , Dedicated men and ladies bathrooms , Natural light , Photocopying facilities , Direct access to public transport , Company Branding at reception , Pet friendly office space Easy access Freeway Reid Highway and Wanneroo Road Stirling Gate shopping centre 100m down the road Restaurants such Balcatta Coffee Kitchen, Gold Garden BBQ 2 minute walk Who is Office Hub? Office Hub is the world\'s No.1 marketplace for office space. We have a huge global selection of coworking spaces, serviced offices and shared office spaces with flexible options to suit teams from 1 200 people. We\'ll take you on a tour of all the workspaces that fit your needs and work on your behalf to get the best price possible. We\'ll help you discover how shared office space can be the most beneficial and budget friendly solution for your business. www.office hub.com Conditions apply – the advertised price includes any incentives offered based on a 12 month agreement and is available to new tenants only. Please note that the rental rate may increase for a shorter rental period. A portion of the square meterage factors in access to shared space. Abundance Of Natural Light | Central Location | Bike Racks & Showers $209pw | 3 Person Workspa..
PROPERTY OVERVIEW $209pw Price incl. Shared office space for rent in Balcatta. This modern office is a great opportunity for small businesses, consultants or tradie contractors who require long term office space for their growing business. With the top floor currently vacant, there is a range of private offices available for rent with their own toilets, kitchen and a smart shared boardroom for meetings. An excellent bonus is that you can rent storage space in the adjoined warehouse and even utilise the current tenants’ delivery management service to ensure your incoming and outgoing deliveries are looked after, even when you’re out growing your empire. The coworking office building harbours a sociable and friendly vibe in which everyone is willing to lend a hand – perfect for those looking to benefit their business outcomes through networking. The amazing location of this Balcatta office space means access to all major areas in Perth is easy by road or public transport. The busy commercial hub of Balcatta is centrally nestled in Perth’s northern suburbs and boasts ample parking space for each tenanting business, removing all the hassle of the CBD! The spacious two storey building features a modern architectural design, end of trip facilities including a shower amd optional warehouse storage and storage management. Enquire now for flexible terms on this great office space! The advertised office space is perfect for a team of 3. If you need more or less space, we have over 30,000 furnished workspaces all over the world suitable for a team of 1 to 200+. Our award winning team offer a free service that will help you find the perfect solution for your needs, so reach out if you need more help. What you get for your weekly rent , 24/7 Access , 24/7 Security , Access to kitchen facilities , Access to secure printer and scanner , Building outgoings included , Commercial grade internet (Free) , Electricity usage included , Flexible lease with the ability to grow into bigger space , Flexible terms , FREE use of the meeting rooms , Premium coffee/tea facilities , Regular cleaning , Secure high speed Internet , Your own receptionist and waiting area for your clients Building features , Abundance of natural light , Air conditioning , Boutique low rise buidling , Gym and fitness centre close by , Industrial / Warehouse style fitout , Print, scan and copy facilities , Retail and shopping malls nearby , Taxi / Uber stand close to building , Car parking in building and surrounding areas , Bike racks , Photocopying facilities , Showers Centrally located with easy access to Reid Hwy and Mitchel Freeway Great coffee and food right next door The fabled Odin tavern located just around the corner All major suppliers and outlets right on our doorstep Away from the city rat race but only by 15 minutes drive! WHO IS OFFICE HUB? Office Hub has largest collection of shared office space, sublet office space, creative coworking office space and serviced offices, perfect for 1 200 employees. Let us take you on a tour of all the spaces that fit your needs and budget. Our service is complimentary and we work for you and the landlord to negotiate the most competitive deal in the market. Let us show you how shared and serviced offices can be the perfect solution for your business. All pricing shown excludes any local taxes such as GST or VAT Conditions apply A portion of the square meterage factors in access to shared space. The advertised price includes any incentives offered based on a 12 month agreement. If a shorter period is agreed to please note the price may increase accordingly. This promotional offer for new tenants only and may be withdrawn at any time due to space availability. Bike Racks & Showers | Central Location | Abundance Of Natural Light $238pw | 4 Person Workspa..
PROPERTY OVERVIEW $238pw Price incl. Shared office space for rent in Balcatta. This modern office is a great opportunity for small businesses, consultants or tradie contractors who require long term office space for their growing business. With the top floor currently vacant, there is a range of private offices available for rent with their own toilets, kitchen and a smart shared boardroom for meetings. An excellent bonus is that you can rent storage space in the adjoined warehouse and even utilise the current tenants’ delivery management service to ensure your incoming and outgoing deliveries are looked after, even when you’re out growing your empire. The coworking office building harbours a sociable and friendly vibe in which everyone is willing to lend a hand – perfect for those looking to benefit their business outcomes through networking. The amazing location of this Balcatta office space means access to all major areas in Perth is easy by road or public transport. The busy commercial hub of Balcatta is centrally nestled in Perth’s northern suburbs and boasts ample parking space for each tenanting business, removing all the hassle of the CBD! The spacious two storey building features a modern architectural design, end of trip facilities including a shower amd optional warehouse storage and storage management. Enquire now for flexible terms on this great office space! The advertised office space is perfect for a team of 4. If you need more or less space, we have over 30,000 furnished workspaces all over the world suitable for a team of 1 to 200+. Our award winning team offer a free service that will help you find the perfect solution for your needs, so reach out if you need more help. What you get for your weekly rent , 24/7 Access , 24/7 Security , Access to kitchen facilities , Access to secure printer and scanner , Building outgoings included , Commercial grade internet (Free) , Electricity usage included , Flexible lease with the ability to grow into bigger space , Flexible terms , FREE use of the meeting rooms , Premium coffee/tea facilities , Regular cleaning , Secure high speed Internet , Your own receptionist and waiting area for your clients Building features , Abundance of natural light , Air conditioning , Boutique low rise buidling , Gym and fitness centre close by , Industrial / Warehouse style fitout , Print, scan and copy facilities , Retail and shopping malls nearby , Taxi / Uber stand close to building , Car parking in building and surrounding areas , Bike racks , Photocopying facilities , Showers Centrally located with easy access to Reid Hwy and Mitchel Freeway Great coffee and food right next door The fabled Odin tavern located just around the corner All major suppliers and outlets right on our doorstep Away from the city rat race but only by 15 minutes drive! WHO IS OFFICE HUB? Office Hub has largest collection of shared office space, sublet office space, creative coworking office space and serviced offices, perfect for 1 200 employees. Let us take you on a tour of all the spaces that fit your needs and budget. Our service is complimentary and we work for you and the landlord to negotiate the most competitive deal in the market. Let us show you how shared and serviced offices can be the perfect solution for your business. All pricing shown excludes any local taxes such as GST or VAT Conditions apply A portion of the square meterage factors in access to shared space. The advertised price includes any incentives offered based on a 12 month agreement. If a shorter period is agreed to please note the price may increase accordingly. This promotional offer for new tenants only and may be withdrawn at any time due to space availability. $238pw | 4 Person Workspa..
PROPERTY OVERVIEW $238pw Price incl. 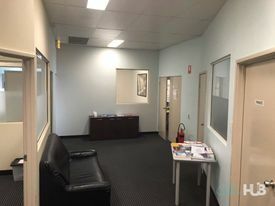 Shared office space for rent in Balcatta. This modern office is a great opportunity for small businesses, consultants or tradie contractors who require long term office space for their growing business. With the top floor currently vacant, there is a range of private offices available for rent with their own toilets, kitchen and a smart shared boardroom for meetings. An excellent bonus is that you can rent storage space in the adjoined warehouse and even utilise the current tenants’ delivery management service to ensure your incoming and outgoing deliveries are looked after, even when you’re out growing your empire. The coworking office building harbours a sociable and friendly vibe in which everyone is willing to lend a hand – perfect for those looking to benefit their business outcomes through networking. The amazing location of this Balcatta office space means access to all major areas in Perth is easy by road or public transport. The busy commercial hub of Balcatta is centrally nestled in Perth’s northern suburbs and boasts ample parking space for each tenanting business, removing all the hassle of the CBD! The spacious two storey building features a modern architectural design, end of trip facilities including a shower amd optional warehouse storage and storage management. Enquire now for flexible terms on this great office space! The advertised work space is perfect for a team of 4. If you need more or less space we have furnished and unfurnished offices ready to go from 10sqm 200sqm all over Australia and New Zealand. What you get for your weekly rent , 24/7 Access , 24/7 Security , Access to kitchen facilities , Access to secure printer and scanner , Building outgoings included , Commercial grade internet (Free) , Electricity usage included , Flexible lease with the ability to grow into bigger space , Flexible terms , FREE use of the meeting rooms , Premium coffee/tea facilities , Regular cleaning , Secure high speed Internet , Your own receptionist and waiting area for your clients Building features , Abundance of natural light , Air conditioning , Boutique low rise buidling , Gym and fitness centre close by , Industrial / Warehouse style fitout , Print, scan and copy facilities , Retail and shopping malls nearby , Taxi / Uber stand close to building , Car parking in building and surrounding areas , Bike racks , Photocopying facilities , Showers Centrally located with easy access to Reid Hwy and Mitchel Freeway Great coffee and food right next door The fabled Odin tavern located just around the corner All major suppliers and outlets right on our doorstep Away from the city rat race but only by 15 minutes drive! WHO IS OFFICE HUB? Office Hub has largest collection of shared office space, sublet office space, creative coworking office space and serviced offices, perfect for 1 200 employees. Let us take you on a tour of all the spaces that fit your needs and budget. Our service is complimentary and we work for you and the landlord to negotiate the most competitive deal in the market. Let us show you how shared and serviced offices can be the perfect solution for your business. All pricing shown excludes any local taxes such as GST or VAT Conditions apply A portion of the square meterage factors in access to shared space. The advertised price includes any incentives offered based on a 12 month agreement. If a shorter period is agreed to please note the price may increase accordingly. This promotional offer for new tenants only and may be withdrawn at any time due to space availability. 125sqm Partitioned Office Space $16,250 p.a. plus Outgoin..
Abundance Of Natural Light | Bike Racks & Showers | Free Meeting Rooms $720pw | 10 Person Worksp..
PROPERTY OVERVIEW $720pw Price incl. Shared office space for rent in Balcatta. This modern office is a great opportunity for small businesses, consultants or tradie contractors who require long term office space for their growing business. With the top floor currently vacant, there is a range of private offices available for rent with their own toilets, kitchen and a smart shared boardroom for meetings. An excellent bonus is that you can rent storage space in the adjoined warehouse and even utilise the current tenants’ delivery management service to ensure your incoming and outgoing deliveries are looked after, even when you’re out growing your empire. The coworking office building harbours a sociable and friendly vibe in which everyone is willing to lend a hand – perfect for those looking to benefit their business outcomes through networking. The amazing location of this Balcatta office space means access to all major areas in Perth is easy by road or public transport. The busy commercial hub of Balcatta is centrally nestled in Perth’s northern suburbs and boasts ample parking space for each tenanting business, removing all the hassle of the CBD! The spacious two storey building features a modern architectural design, end of trip facilities including a shower amd optional warehouse storage and storage management. Enquire now for flexible terms on this great office space! The advertised office space is perfect for a team of 10. If you need more or less space, we have over 30,000 furnished workspaces all over the world suitable for a team of 1 to 200+. Our award winning team offer a free service that will help you find the perfect solution for your needs, so reach out if you need more help. What you get for your weekly rent , 24/7 Access , 24/7 Security , Access to kitchen facilities , Access to secure printer and scanner , Building outgoings included , Commercial grade internet (Free) , Electricity usage included , Flexible lease with the ability to grow into bigger space , Flexible terms , FREE use of the meeting rooms , Premium coffee/tea facilities , Regular cleaning , Secure high speed Internet , Your own receptionist and waiting area for your clients Building features , Abundance of natural light , Air conditioning , Boutique low rise buidling , Gym and fitness centre close by , Industrial / Warehouse style fitout , Print, scan and copy facilities , Retail and shopping malls nearby , Taxi / Uber stand close to building , Car parking in building and surrounding areas , Bike racks , Photocopying facilities , Showers Centrally located with easy access to Reid Hwy and Mitchel Freeway Great coffee and food right next door The fabled Odin tavern located just around the corner All major suppliers and outlets right on our doorstep Away from the city rat race but only by 15 minutes drive! WHO IS OFFICE HUB? Office Hub has largest collection of shared office space, sublet office space, creative coworking office space and serviced offices, perfect for 1 200 employees. Let us take you on a tour of all the spaces that fit your needs and budget. Our service is complimentary and we work for you and the landlord to negotiate the most competitive deal in the market. Let us show you how shared and serviced offices can be the perfect solution for your business. All pricing shown excludes any local taxes such as GST or VAT Conditions apply A portion of the square meterage factors in access to shared space. The advertised price includes any incentives offered based on a 12 month agreement. If a shorter period is agreed to please note the price may increase accordingly. This promotional offer for new tenants only and may be withdrawn at any time due to space availability. Abundance Of Natural Light | Fully Furnished | Creative Space $124pw | 1 Person Workspa..
PROPERTY OVERVIEW $124pw Price incl. Cost effective shared office space for small businesses in Balcatta. This office is well suited to any business too small for an office lease and too big to work at home. It has partitioned workstations, flexible hours of access and a fully equipped boardroom as well as a professional reception and foyer. Internet, mailing address and mail collection is included for even better value. The proactive and positive environment encourages interaction and networking with small business info events where you can invite clients and solicit new business. Flexible terms available now. This office is situated in a modern and well presented commercial/business precinct in Balcatta, 11km north of Perth CBD. The contemporary building offers car parking, air conditioning and company branding at reception with a pet friendly policy. This great metro location will serve small businesses well with ease of highway access, plenty of parking and fantastic amenities at the nearby Stirling Central Shopping Centre. The advertised office space is perfect for a team of 1. If you need more or less space, we have over 30,000 furnished workspaces all over the world suitable for a team of 1 to 200+. Our award winning team offer a free service that will help you find the perfect solution for your needs, so reach out if you need more help. What you get for your weekly rent , 24/7 Access , Access to internal breakout areas , Access to kitchen facilities , Building outgoings included , Electricity usage included , Flexible terms , Regular cleaning , Premium Coffee/Tea Facilities , High speed Internet Building features , Air conditioning , Car parking in building and surrounding areas , Dedicated men and ladies bathrooms , Natural light , Photocopying facilities , Direct access to public transport , Company Branding at reception , Pet friendly office space Easy access Freeway Reid Highway and Wanneroo Road Stirling Gate shopping centre 100m down the road Restaurants such Balcatta Coffee Kitchen, Gold Garden BBQ 2 minute walk WHO IS OFFICE HUB? Office Hub has largest collection of shared office space, sublet office space, creative coworking office space and serviced offices, perfect for 1 200 employees. Let us take you on a tour of all the spaces that fit your needs and budget. Our service is complimentary and we work for you and the landlord to negotiate the most competitive deal in the market. Let us show you how shared and serviced offices can be the perfect solution for your business. All pricing shown excludes any local taxes such as GST or VAT Conditions apply A portion of the square meterage factors in access to shared space. The advertised price includes any incentives offered based on a 12 month agreement. If a shorter period is agreed to please note the price may increase accordingly. This promotional offer for new tenants only and may be withdrawn at any time due to space availability. Fully Furnished | Ideal Location | Economical Workspace $233pw | 3 Person Workspa..
PROPERTY OVERVIEW $233pw Price incl. Cost effective shared office space for small businesses in Balcatta. This office is well suited to any business too small for an office lease and too big to work at home. It has partitioned workstations, flexible hours of access and a fully equipped boardroom as well as a professional reception and foyer. Internet, mailing address and mail collection is included for even better value. The proactive and positive environment encourages interaction and networking with small business info events where you can invite clients and solicit new business. Flexible terms available now. This office is situated in a modern and well presented commercial/business precinct in Balcatta, 11km north of Perth CBD. The contemporary building offers car parking, air conditioning and company branding at reception with a pet friendly policy. This great metro location will serve small businesses well with ease of highway access, plenty of parking and fantastic amenities at the nearby Stirling Central Shopping Centre. The advertised office space is perfect for a team of 3. If you need more or less space, we have over 30,000 furnished workspaces all over the world suitable for a team of 1 to 200+. Our award winning team offer a free service that will help you find the perfect solution for your needs, so reach out if you need more help. What you get for your weekly rent , 24/7 Access , Access to internal breakout areas , Access to kitchen facilities , Building outgoings included , Electricity usage included , Flexible terms , Regular cleaning , Premium Coffee/Tea Facilities , High speed Internet Building features , Air conditioning , Car parking in building and surrounding areas , Dedicated men and ladies bathrooms , Natural light , Photocopying facilities , Direct access to public transport , Company Branding at reception , Pet friendly office space Easy access Freeway Reid Highway and Wanneroo Road Stirling Gate shopping centre 100m down the road Restaurants such Balcatta Coffee Kitchen, Gold Garden BBQ 2 minute walk WHO IS OFFICE HUB? Office Hub has largest collection of shared office space, sublet office space, creative coworking office space and serviced offices, perfect for 1 200 employees. Let us take you on a tour of all the spaces that fit your needs and budget. Our service is complimentary and we work for you and the landlord to negotiate the most competitive deal in the market. Let us show you how shared and serviced offices can be the perfect solution for your business. All pricing shown excludes any local taxes such as GST or VAT Conditions apply A portion of the square meterage factors in access to shared space. The advertised price includes any incentives offered based on a 12 month agreement. If a shorter period is agreed to please note the price may increase accordingly. This promotional offer for new tenants only and may be withdrawn at any time due to space availability. 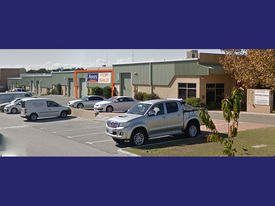 Located in Balcatta one of Perth's premier industrial locations, Unit 2/3 Cressall Road provides an office, showroom and warehouse of some 345sqm + yard. This front facing industrial built unit is situated among and in close proximity to local businesses, shops and cafes providing great convenience and exposure. Rent is $37,600pa plus outgoings: $9,600 (estimated) plus GST. This functional unit has 3 phase power, kitchenette/amenities and A/C to showroom and office. The warehouse features dual roller doors for ease of access/deliveries. With onsite parking and located close to major arterial road networks, this one is not to be missed! 183sqm Warehouse | Plus 50sqm Secure Yard | With The Balance Of Remaining Short Term Lease & Holding Income $450,000 Nil GST | Going ..